Marketplace by Rustan’s is curating the best in wine under one roof at the World of Wine Fair from September 28 to 30 at the Shangri-La Plaza Grand Atrium. Featuring premium wines sourced directly from estates and sold at exclusive rates, the event boasts selections from 8 different winemaking countries, including Italy, France, USA, Chile, Argentina, and more. 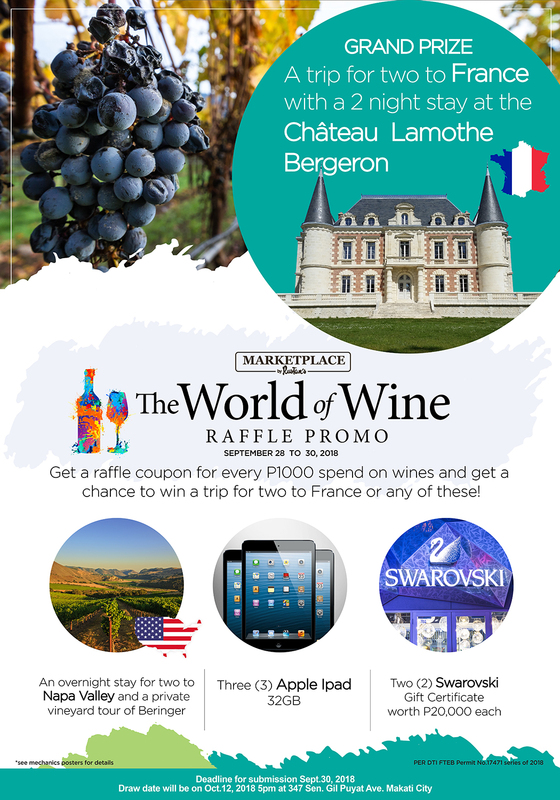 Shoppers will also have the special opportunity to learn more about wine culture from 15 of the most respected international winemakers and wine experts in the business.